HomeShop...Your Time Is Now – Pre Order! Home / Leadership & Impact / Your Time Is Now – Pre Order! 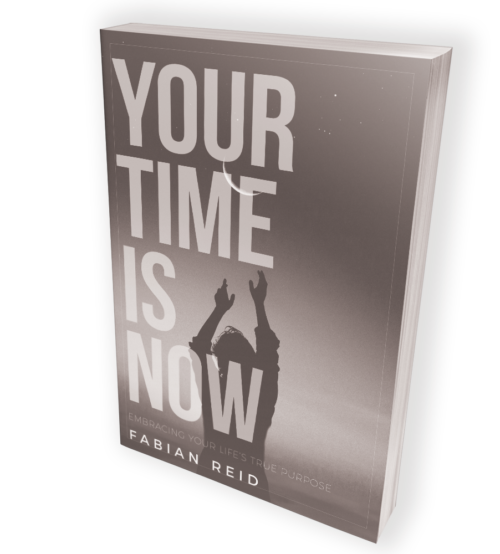 Fabian Reid’s first official publication, set for release in the second half of 2018, Your Time Is Now is aimed at feeding your soul, strengthening your sense of self, and giving you the push and the courage you need to step into your life’s purpose. Stay tuned for both a digital and hard copy version, which you can pre-order now. Your Time Is Now is Fabian Reid’s first official publication, set for release in the second half of 2018, and is aimed at feeding your soul, strengthening your sense of self, and giving you the push and the courage you need to step into your life’s purpose. Stay tuned for both a digital and hard copy version, which you can pre-order now.